Different states have different species of big game, but to simplify, I list the common North American ungulates (Elk, Deer, Pronghorn, Bighorn Sheep, Mountain Goat, Moose and Bison) and a few unique species in Table 1. Table 1 lists the species that can be hunted in each Western state, the application deadlines for limited entry drawings and the date the results will be published. 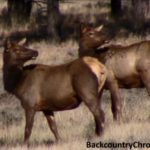 Remember there are still seven western states (Colorado, Idaho, Montana, Oregon, Utah, Washington and Wyoming) that have general elk hunts with over-the-counter tags (read more here). Washington Deer, Elk, Mountain Goat, Moose, Bighorn Sheep May 18, 2017 June? In some states, dates are published when the application process will begin and in other states they are not. You may not know until you go to their websites and they are ready to take your application (or not). Remember, these are state bureaucracies, not private businesses. If you want to hunt in their state, it’s up to you to learn the rules and find the information you need. Some states stipulate a particular time of day applications must be received on the deadline date, so make sure you don’t miss that deadline in case it ends before midnight. When Table 1 (above) was first posted (Jan. 15), not all states had published their application dead lines. The table will be updated as application dates are finalized. The table show some 2016 dates (highlighted in yellow) until the 2017 dates are available. The 2016’s deadline dates are close to the same time of year of each state..
Do not worry if you can not find information about the application deadline for this year. None of the states will be accepting applications until the deadlines dates are published. Which Species of Deer to Hunt? Nevada and Utah only have one species of deer (mule deer), all other western states have at least two species of deer (mule deer and black-tailed or white-tailed deer). In addition to the Rocky Mountain Mule Deer and White=tailed deer, California also has other subspecies of mule deer such as California Mule Deer, Inyo Mule Deer, Burro Mule Deer and Southern Mule Deer). Arizona has the Coues, which is another subspecies of White-tailed Deer. In some states that have plenty of deer, you may be able to hunt any deer species and other cases, you will be limited to only one species. Which States to Hunt Elk? 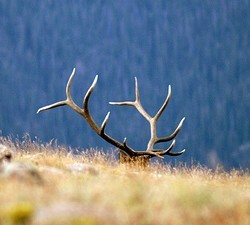 Elk can be hunted in any of the Western states if you draw a Limited Entry tag. But elk populations are still high enough in seven western states that tags can be purchased over the counter. Five states still allow non-residents to hunt elk without winning the lottery (learn more). Arizona and New Mexico offer opportunities to hunt unique species like Barbary Sheep, Ibex, Oryx, and Javalina. Believe it or not, there is a small chance you can draw a tag to hunt Bison in Arizona, Montana, Wyoming or Utah. Arizona has both Spring and Fall hunts, which have different application deadlines. Bison are found in two wildlife areas (WA) managed by the Arizona Game and Fish Department. The Raymond WA is east of Flagstaff and the House Rock WA is east of the North Kaibab area. In 2016, the fall hunt awarded 16 out of 2,282 total applicants (1:143). In Montana, bison hunts are in units 385 and 395 where bison move outside of Yellowstone National Park. Montana apparently does not show drawing odds for bison. Utah has three hunting areas for Bison; Antelope Island State Park, the Henry Mountains and the Book Cliffs. As an interesting note, genetic testing showed the only genetically pure bison found in North America was found on the Henry mountain herd. Genetically pure; meaning no bovine (cow) genes. In 2016, 103 resident permits were issued from 9469 applicants (1:92) and 9 non-resident permits were issued from 4879 applicants (1:542) . In Wyoming, Bison are primarily using Grand Teton National Park and move onto the Bridger-Teton National Forest, the National Elk Refuge and private property near Jackson. In 2015, 8 out 692 (1:87) non-residents were successful in drawing a Bull Bison tag and 53 of 192 (1:28) non-residents were successful in drawing a cow Bison tag. Do you have a chart on when the big game bonus points are due for each state? Thank you for taking all this time to put together these charts they’re great! Idaho and New Mexico have no bonus point system, but Idaho is thinking about it. Montana, Nevada, Oregon and Washington don’t post deadlines (or make it hard to find) for bonus/preference/permit points so assume??? same as application deadlines? Thanks I appreciate it I figure there is no point in trying to draw a tag without racking up my points for a good unit. Does this apply to purchasing OTC tags? In other words, do you have to apply for the state before you purchase an OTC tag? I realize you discussed the matter under the “Note,” but sometimes you don’t have that much time to make the decision to hunt and was merely wondering if you find you have the time, can you just go purchase an OTC tag in any of the western states? There are basically seven Western States (Colorado, Idaho, Montana, Oregon, Utah, Washington & Wyoming) with good elk populations where you have a good chance to get a tag (see post here). Now, there are only five states where non-residents can buy elk tags Over-the-Counter (OTC); Colorado, Idaho, Oregon, Utah and Washington. Some of these tags are limited and some are not. Montana and Wyoming have OTC tags (General Season) for residents, but non-residents have to apply in these states. But chances are very good you will get General Season tags. I included Arizona in the post because they do have OTC tags, but those tags are in areas where elk cause problems for ranchers. Best left for the locals. I think the toughest part of elk hunting is negotiating all the rules and reg’s and finding the info you need at the State’s websites before you can decide where to hunt. I wrote the DIY Elk Hunting Guide to help with those problems. Where are you thinking about hunting? I would like to hunt anywhere that doesn’t require six months notice because I probably can’t give it. I may only know two or three weeks in advance that I can hunt and then I’d just be hopping in the truck and driving west from Wisconsin if I can purchase an OTC tag online or remotely or reserve one. Bill: I am so used to getting questions about elk hunting that I answered your first question as if you only asked about hunting elk. 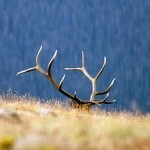 Except for antelope and white-tailed deer in some of the Western states, the most OTC/General Season tags are for elk. If you want to hunt elk, I suggest you look at Colorado, Idaho and Utah for “last minute” OTC tags. I have seen OTC tags (rifle hunt) still available, the week before the hunt. If you bow hunt, most Archery tags are unlimited. Thanks for the awesome replies. Yes, I’m not limiting it to elk hunting and would just as easily go for a mule deer or antelope hunt. If you know of states that offer OTC tags for these AND elk, that would help to narrow things down, too. You (and I) need to check further, but there are very few OTC tags for non-residents except for elk.